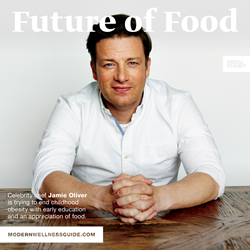 Celebrity chef and restauranteur Jamie Oliver offers insight on addressing the challenges of fueling the food revolution in Mediaplanet’s “Future of Food” campaign. Covering topics like food waste, childhood nutrition and hunger, Mediaplanet’s Future of Food campaign digs into how technology is changing our relationship with food, starting with how its grown, delivered, and ultimately consumed. Covering topics like food waste, childhood nutrition and hunger, Mediaplanet’s Future of Food campaign digs into how technology is changing our relationship with food, starting with how its grown, delivered, and ultimately consumed. In an ever-changing food landscape, this campaign highlights new innovations in technology, corporate responsibility, and best practices—as we usher in the next era of feeding our nation and world. The print component of “Future of Food” is distributed within USA TODAY, with a circulation of approximately 250,000 and an estimated readership of 750,000. The digital component is distributed internationally, through a vast social media strategy, and across a network of top news sites and partner social media platforms. To explore the digital version of the campaign, go to Mediaplanet’s Modern Wellness Guide website. This campaign wouldn’t be possible without support from industry partners Institute of Food Technologists, National Restaurant Association, Consumer Goods Forum, Meals on Wheels, Feeding America, Project Angel Heart, Caviar, Heifer International, NovAtel, Scanbuy, Hungry Harvest, Food Recovery Network and King Arthur Flower. Mediaplanet is the leading independent publisher of content-marketing campaigns covering a variety of topics and industries. We turn consumer interest into action by providing readers with motivational editorial, pairing it with relevant advertisers, and distributing it within top newspapers and online platforms around the world. Our unique ability to pair the right leaders with the right readers, through the right platforms, has made Mediaplanet a global content marketing powerhouse. Just call us storytellers with a purpose. Please visit http://www.mediaplanet.com for more on who we are and what we do.